A Wedding on the Boal Mansion grounds is an event to remember for any fortunate bride. Many beautiful and moving ceremonies have been performed here, as well as lovely receptions. 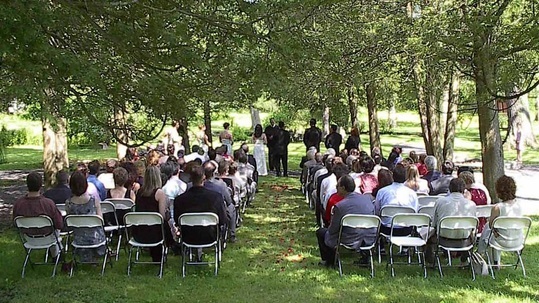 Large lawn spaces can accommodate the ceremony, the reception, or both. Many beautiful backgrounds provide excellent photo opportunities as well. 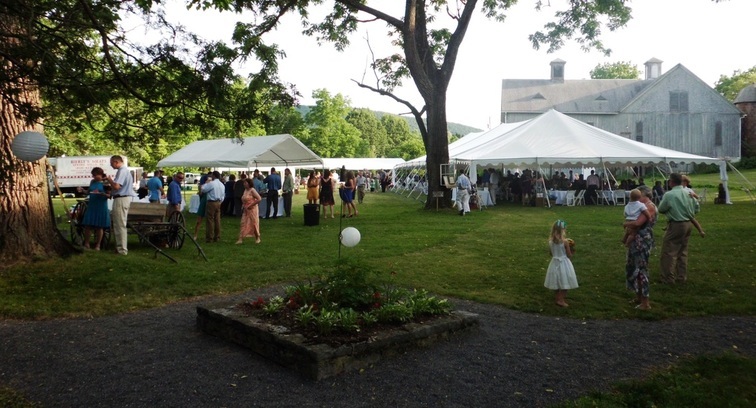 Parking, rest rooms and electrical hook-up are conveniently located at the adjacent Boal Barn Playhouse and tents, tables and chairs from a vendor of your choosing can be set up in the large green lawn between the Boal Mansion and the Boal Barn Playhouse. For more information, contact the Museum at office@boalmuseum.com or telephone 814-876-0129 or staff at 814-466-6210. The spacious lawns of the Boal Mansion Museum are available at the time and date of your choosing; some limitations apply. The Boal Mansion Museum charges a fee of $2,500 for such events, with $1,000 paid as a non-refundable advance when the contract is signed and $1,000 due at the start of the event. Tents, tables and chairs may be rented directly from a vendor.